Wow – could those Bible women pray! Hanna’s prayer of yesterday’s reading, Mary’s of today’s show that these godly women had keen insights about God and His ways. A thought that occurs in both of these prayers is that the unlikely person will triumph because God comes to his or her aid. Hannah prays that God will weigh and evaluate the unworthy actions that are masked by proud and arrogant speech. She boasts about Him giving strength to the feeble as He breaks the weaponry of the mighty. He feeds the hungry while those who were always full before end up hiring themselves out for bread. He gives he barren woman a complete family (seven children!) even as the mother of many is forlorn. She speaks of Him making the poor rich, exalting the lowly, raising the poor and needy to sit with princes – 1 Samuel 2:3-8. Mary thanks God for raising her, a humble woman, to a position where all people will call her blessed. She boasts about God frustrating those with proud thoughts, bringing down the mighty from their thrones, sending the rich away empty while filling the hungry with good things – Luke 1:51-53. These aren’t selfish, vindictive prayers of needy women who want the tables turned for self-serving reasons. 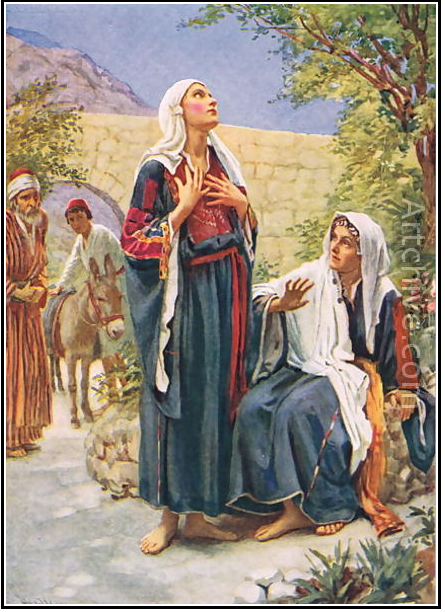 Rather, they are prayers of women for whom God has shown Himself strong in amazing ways (Hannah has borne a son after years of barrenness, Mary has recently become pregnant with Jesus — God in the flesh). They are also pronouncements of faith saying, in effect, if God has done this for me, He can do this in any and every situation. They are above all, prayers that proclaim trust in God over riches, position, power or natural ability, to change impossible situations. What is my impossible situation today? What is yours? From personal needs involving ourselves, our families and friends, to big requests for our nation and the world, let’s let the faith of Hannah and Mary inspire us to bring our impossible circumstances to God, who has the power and resources to turn them on their heads. Violet freelances in several genres and has been published in a variety of print and online publications. 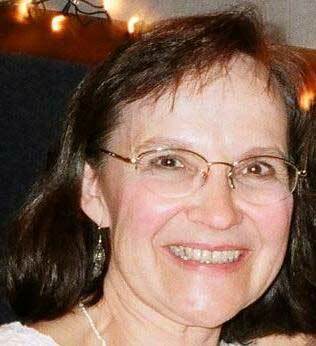 Her articles, stories, and activities have appeared in Keys for Kids, Devotions for Girls, Devotions for Boys, Clubhouse, Guide, Primary Treasure, Partners, Pockets and others. She has also published two books of poetry and is an avid blogger. She is a member of Inscribe Christian Writers’ Fellowship and a professional member of The Word Guild. This entry was posted in Prayer and tagged Hannah, Mary, Specific Prayer Requests, Stories on the Power of Prayer, Violet Nesdoly, women on June 8, 2011 by JanisCox.